Scorched Earth is the first expansion pack for the ARK: Survival Evolved and among the new content and features that come with new DLC has a whole new area outside the usual island in ARK Survival Evolved. Find out below what important features and content waiting for you in this expansion. 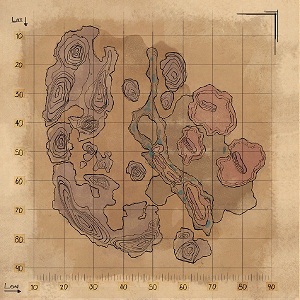 - Scorched Earth provides the same new map, which is also called "The Desert", is divided into 10 different regions. - Overall, you will encounter 11 new creatures, including many mythical creatures that you know only from fairy tales or horror movies. So Beware, because now there is more DRAGONS! - Over 50 new items to your inventory will enrich and including of course some new weapons and items for electricity generation. - A new boss - The Manticore. - New challenges of water shortages and new plants and animals that will supply you with water. - The new effect Heatstroke, which is comparable with Drunk. - Sandstorms, which obstruct the view and charge your Stamina. - Electrical storms that bring your stream to crash. - To discover ancient caves and ruins are available. With these and other content and features survival gets a new meaning in ARK: Survival Evolved.